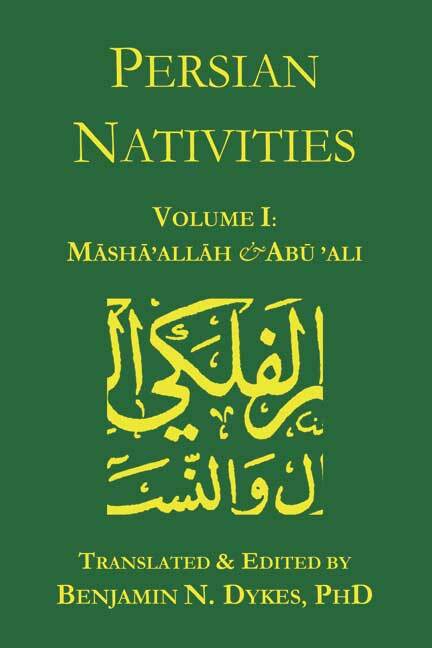 This first volume of the Persian Nativities series contains a translation of The Book of Aristotle (thought to be by Masha’llah) and On the Judgments of Nativities by his follower, Abu ‘Ali al-Khayyat. Preview The Book of Aristotle here. Please use your regional Amazon location for best shipping price! The Book of Aristotle is thought to be a lost work by Masha’allah, rediscovered by David Pingree and now available after 900 years of neglect. Found deep in the Muslim libraries of medieval Spain and translated into Latin in the 12th Century by Hugo of Santalla, it was immediately forgotten. The only two surviving copies were saved by the astrologer-magician John Dee. 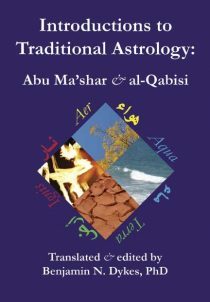 Now available in translation for the first time in any modern language, the Book of Aristotle presents a full treatment of nativities drawing extensively on Valens, Rhetorius, Masha’allah’s more complete version of Dorotheus, and a lost work by al-Andarzaghar which presents a complete method of annual predictions: solar revolutions, profections, transits, and more. It has previously unknown material from Dorotheus on Lots, friendship, and travel. Masha’allah’s carefully organized work breaks the delineation material into digestible chunks. 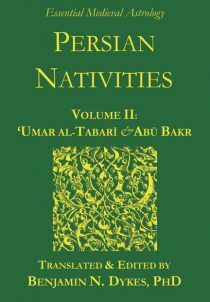 This second volume of the Persian Nativities series contains two books, a translation of Three Books of Nativities by ‘Umar al-Tabari and On Nativities by Abu Bakr. 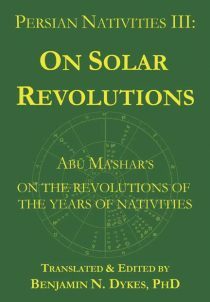 This third volume of the Persian Nativities series is a translation of the surviving Latin version of Abu Ma’shar’s On the Revolutions of the Years of Nativities. 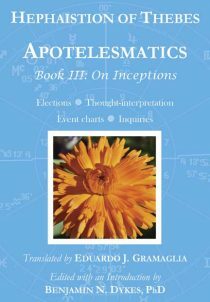 It covers all of the primary predictive techniques: profections, solar revolutions, distributions, transits, and firdaria. Click here for a PDF excerpt. 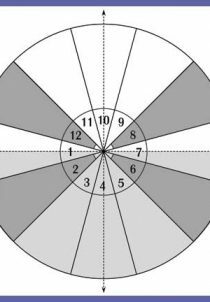 The famous handbook of Considerations for judging charts retranslated. 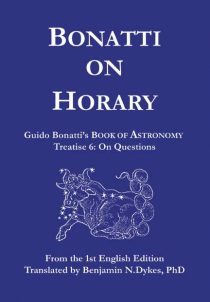 Coley’s paraphrased edition is superseded by this version, including key passages on the role of God and freedom in horary. (89 pp). Click here for a PDF excerpt. 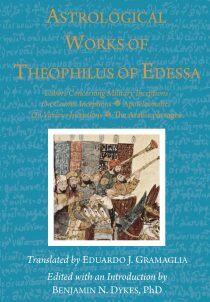 This new translation of the Arabic version of Dorotheus contains explanations, corrections, and the Greek prose Excerpts. For a short list of errata, click or save here. 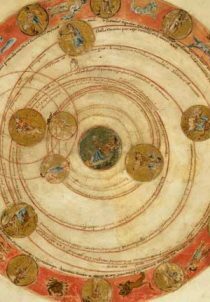 Hephaistion of Thebes’ Apotelesmatics (5th Century AD) is an important record of ancient doctrines on general principles, natal, and electional astrology, largely drawn from the work of Ptolemy and Dorotheus. 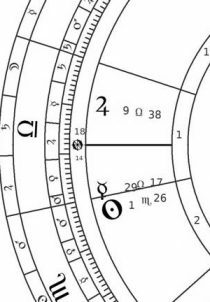 This presentation introduces traditional mundane astrology, beginning with Ptolemy’s method for interpreting and timing eclipses, prices and weather, and historical astrology: framing history into larger and smaller periods, especially using Saturn-Jupiter conjunctions. Length 1:16:09, 36MB. 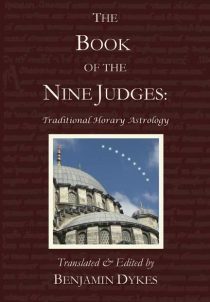 The Book of the Nine Judges is the largest traditional compilation of horary astrology, drawn from nine Persian and Arabic astrologers. 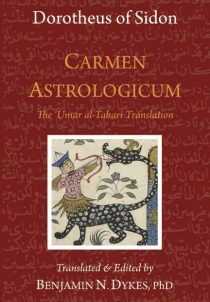 Translated from Arabic sources chiefly by the 12th-Century Latin translator Hugo of Santalla, it achieved legendary status but has never before been translated into any modern language. 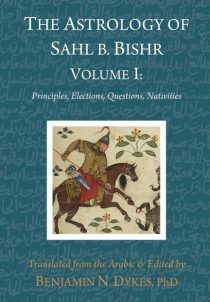 It includes material by Masha’allah, ‘Umar al-Tabari, Abu Ma’shar, Sahl bin Bishr, al-Kindi, Abu ‘Ali al-Khayyat, “Dorotheus,” “Aristotle,” and Jirjis. Click here for a PDF excerpt. One of the most thorough treatments of horary, drawing especially on the medieval masters Sahl b. Bishr and Masha’allah. Surprising predictive techniques combine elections, solar revolutions, and horary charts. 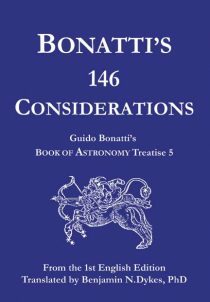 Includes two charts from Bonatti’s own career. Learn whether your horse will win the race, your husband is cheating on you, or the king will fall from grace (278 pp)! Click here for a PDF excerpt.